I saw her through the window at Starbucks as I was getting my coffee that morning. I hadn’t noticed her when I walked into the Safeway, so perhaps she arrived after I did or perhaps I was oblivious in my morning rush to secure coffee. I was waiting for my coffee, looking out the windows, when I spotted her sitting at the small round table on the cement outside. She had a cigarette in her hand, and she was visibly shivering. My reaction was immediate and instinctual. I suspected she was one of our homeless population although I did not recognize her from my visits to the Centre of Hope. New to the city, perhaps, or just passing through as transient homeless occasionally do. She wore what appeared to be a new coat, clean and looking like it would be warm, but I knew that such a coat did not mean she was not homeless because new clothing is often given to those who find themselves freezing on our streets. It was not the coat that made me think she was homeless, or the cigarette – it was the way her body shook, the way her slender and frail hands shivered. For some reason I was instantly uneasy, too. I just had the sense that something was terribly wrong, and I couldn’t help but be afraid that something bad had happened to her. There was something in the way she was shaking that troubled me, and it upset me, too. I found myself struggling with what to do. Should I go outside and ask her if I could help? Take her a warm coffee? Or just go on my way and assume that I was wrong and that she was simply someone who had stopped at a convenient spot for a cigarette on a chilly morning? They called my drink at that point, and I turned to collect it. Only moments had passed before I had the coffee in my hand and the lid secured but when I turned to the windows she was gone. I could not see which direction she had gone. It was like she had simply vanished, disappearing into the streets as the homeless here often seem to do. And as I walked to my car I continued to feel uneasy and unhappy because I felt I had failed. You see I think I should have walked out the door and asked if she was okay as soon as my instincts said she was not. I should have asked if I could buy her a coffee or some food. 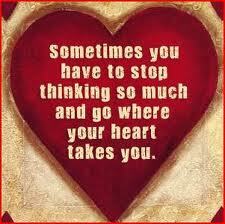 I should have followed my heart that said she was in trouble and not listened to my head that led me to doubt myself. I was terribly, terribly disappointed in myself that day, and I continue to be. Perhaps she was not homeless at all and my instincts were wrong. But something tells me that I was right, and that she was in some sort of distress. I have not seen her again although I return to that Starbucks every morning and watch for her. If I ever do see her again I will offer to buy her coffee, even if her hands are not shaking. And if I never see her again I will not forget her, either, because she reminded me that sometimes one needs to simply follow their heart and not allow that internal debate to deter you from action. She reminded me that I am not perfect, and that I can do more, and do it better. You see I think we all have a responsibility in this world, and it is to each other. I think about how if she were my daughter or sister I would want someone to ask if she was okay, to extend an offer of help even if was not needed. Next time I will not disappoint myself, and next time I will not debate. I will follow my heart and place a cup of warm coffee in those shaking hands, and offer assistance. Next time I will follow my instincts, and let my heart lead me. While I've done the same thing, I don't think you should be so hard on yourself. You've done more than a lot of others would do... you noticed. Most people do not even take notice of someone else who is going through a period of lesser fortune. I once passed a man as I was entering a corner store to grab a drink and a snack, while on my lunch break from work. He had his hand outstretched for money. I said I had no change, and when I left the store, he was gone. I immediately felt so guilty and mean. I COULD have said I'd be right back with a drink and muffin for him, or asked him to wait there while I paid for my snack, and bring him back the change. It bothered me all the rest of that day. Now, even after 20 years have passed, and I read your post, I realize how it still makes me feel sad. I am more aware now. I try as often as presented with anyone in need, to do what I can, when I can, where I can. 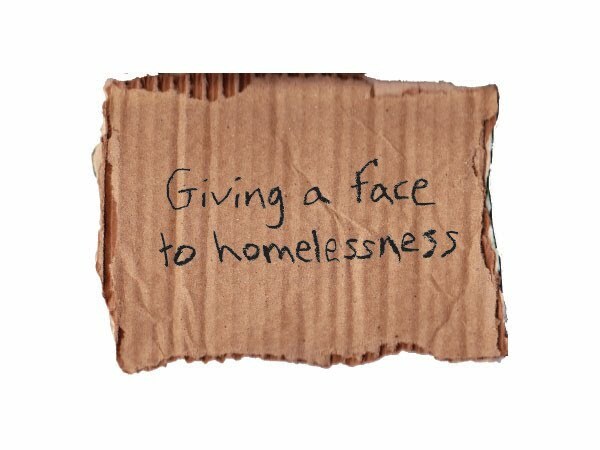 My daughter and I often bring the homeless, by the bottle depot, a box of coffee and a couple dozen donuts or muffins. But reading your post reminds me we can always do more. And most importantly, be AWARE of those opportunities to do more. Thanks again for a thought provoking, emotional post. Your story touched my heart,I've been in your position where you struggle, trying to work up the courage? is that the right word? Once after leaving a Pizza place with my families supper I drove past an old man in raggedy clothes and worn out old boots making his way up Beacon Hill, I found a place to turn around and told my son, " I'm going to pull up beside this guy, you call him and pass him the Pizza" Maybe it wasn't the safest move I have ever made while driving but the look on his face was worth it. The kids and I had Kraft Dinner that night, and I remember they were totally okay with it.